VideoLAN, a project and a коммерциялык эмес уюм. 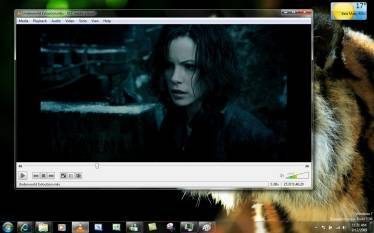 VLC media player VLC is a powerful media player playing most of the media codecs and video formats out there. VLMC VideoLAN Movie Creator is a non-linear editing software for video creation. DVBlast DVBlast is a simple and powerful MPEG-2/TS demux and streaming application. multicat multicat is a set of tools designed to easily and efficiently manipulate multicast streams and TS. x264 x264 is a free application for encoding video streams into the H.264/MPEG-4 AVC format. VideoLAN - коммерциялык эмес уюм. All our costs are met by donations we receive from our users. If you enjoy using a VideoLAN product, please donate to support us. VideoLAN - ачык программа жабдыгы. We feel that VideoLAN has the best video software available at the best price: free. If you agree please help spread the word about our software. VideoLAN is happy to present the new major version of VLC for Android platforms. Featuring AV1 decoding with dav1d, Android Auto, Launcher Shortcuts, Oreo/Pie integration, Video Groups, SMBv2, and OTG drive support, but also improvements on Cast, Chromebooks and managing the audio/video libraries, this is a quite large update. VideoLAN is releasing a new major version of libbluray: 1.1.0. It adds support for UHD menus (experimental), for more recents of Java, and improves vastly BD-J menus. This release fixes numerous small issues reported. VideoLAN is releasing a new minor version of libdvdread, numbered 6.0.1, fixing minor DVD issues. See libdvdread page for more info. VideoLAN is very happy to announce that VLC crossed the 3 billion downloads on our website: VLC statistics. Please note that this number is under-estimating the number of downloads of VLC. VideoLAN is now publishing the VLC 3.0.6 release, which fixes an important regression that appeared on 3.0.5 for DVD subtitles. It also adds support for HDR in AV1. Geoffrey Métais: Announcing VLC 3.1 release! Jean-Baptiste Kempf: dav1d shifts up a gear : 0.2 is out!